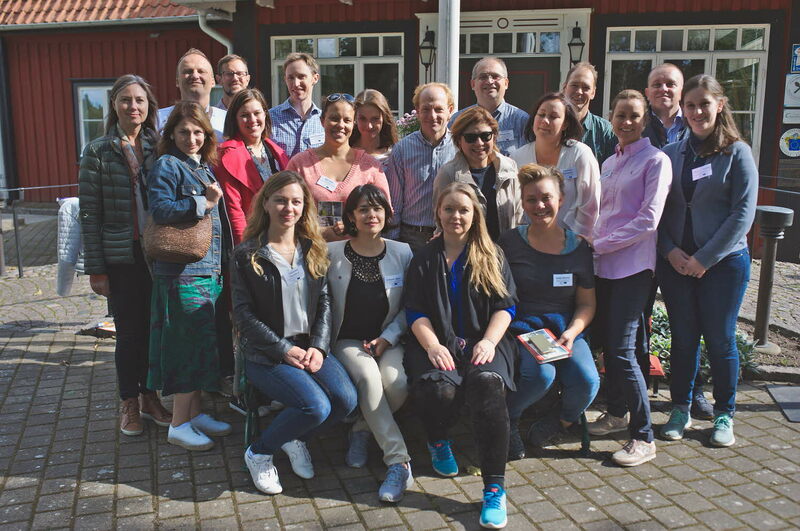 Linnaeus University is leading partner in an EU project with the goal to increase awareness about wellbeing, how we can create wellbeing in the tourism sector, and promote the south Baltic region as an attractive destination for wellbeing recreation. So, what is wellbeing tourism? Project manager Lina Lindell explains: “This form of tourism is based on sustainability, but it also comprises wellbeing for the visitor, the host, and for the society that offers the services. It is about wellbeing on a physical, mental and spiritual level. Wellbeing is a condition of balance and harmony. It’s not just what we do, but also what attitudes we have and how we are ‘being’, for instance, in the meeting between host and visitor”. The members of the project group recently met for a start-up of the project. In addition to taking part of the project structure and an introduction to the concept of wellbeing, the participants also got to try silent walking through forest and across water, meditation, mental exercise, yoga, spa, and a vegetarian menu. “It’s important that the participants get a good understanding of what it means to be in a state of wellbeing. They will be ambassadors for wellbeing during the course of the project. The project will also mean that we on the team feel well and work together in a good way. Therefore, we put a lot of effort into designing the conference in a way that contributed to making the participants feel relaxed and open to meeting each other” says Lindell. “In the project, we will, among other things, work out a model for how we can develop wellbeing tourism, both at a specific destination and for individual companies”, Lindell continues. “Other work that is now initiated is the development of criteria for wellbeing within accommodation, restaurants, and activities (for instance, spas and nature experiences). The development within wellbeing tourism in Europe is rapid and it is, therefore, important that we keep up and are able to meet potential visitors’ demands for quality and supply within the field. People are becoming more and more conscious about healthy lifestyles and want to be able to experience at the least the same level as back home when they are on vacation”, Lindell concludes. Expected results from the project are, among other things, an increased awareness about wellbeing, that more companies within the tourism sector have the courage to invest in sustainability and health-promoting recreation, and that we get more visitors to our fantastic nature and cultural areas. Financing: The project is financed by the European Regional Development Fund (ERDF) under the Interreg South Baltic Programme and the budget is approximately SEK 22 million. Duration of project: Until spring 2021.